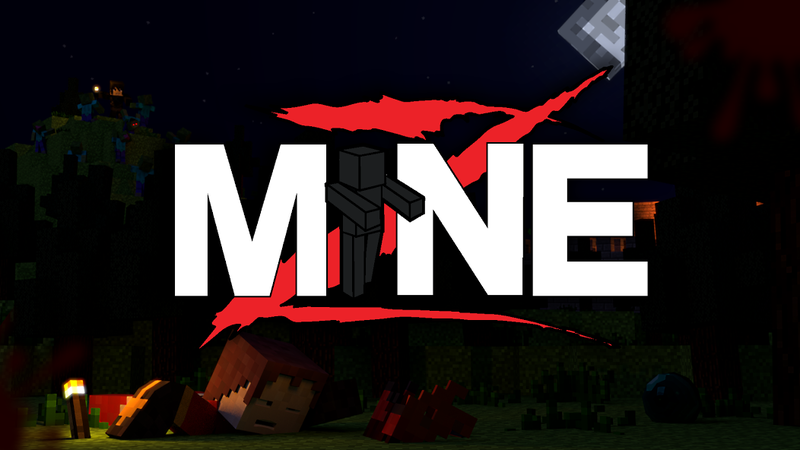 MineZ is a multiplayer zombie survival server for Minecraft inspired by Arma II’s DayZ. The game involves players defending against zombie hordes while gathering resources and exploring a post-apocalyptic world. Anyone with a legal copy of Minecraft can join the servers and experience the thrill of the zombie apocalypse without any change to the Minecraft client. "You have entered a world where civilization has come to an end. The zombie outbreak has engulfed the continent, and you are one of the lucky few who survived the initial outbreak. Armed with nothing but a wooden sword and an old leather chest plate, you begin your journey of survival..."
New to MineZ? Check out the tutorial here. Check out the map of loot giving locations in MineZ. Information about the items available in MineZ, and their functions. Learn about what you will find in different types of chests. Learn about what awesome achievements you can earn! Find out what you spawn with to start your journey off. Learn about the various mobs you might come across during your adventure. Read more about how to take out your first Giant. Read about how to help the community and the reward that comes with. Read about a new mechanic of Minecraft added to MineZ. Learn about another unique aspect of MineZ, bleeding. Find out what can happen when you get bit. willow_lily, DodoEfe159, ragemachine12 and 149 others like this.